This article from the NY Times outlines the arguments on both sides for the Cape Wind Project, a proposal to build wind turbines off the coast of Cape Cod as an alternative energy source. Sometime soon, the Obama administration will be deciding the fate of this project, which could potentially affect all the other offshore wind energy proposals coming down the pipeline. 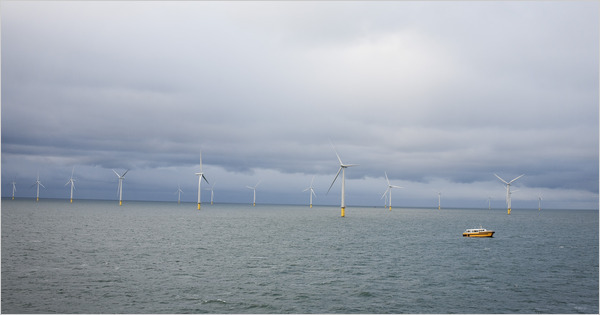 Above is an image from the Times of a wind farm off the coast of Copenhagen, Denmark. We often look to our European counterparts to see how they have dealt with climate change issues and creating green energy, like with burning trash, but many US start-ups are developing new innovations for creating energy. Take a look at this diagram illustrating how American companies are creating underwater turbines to produce energy from tides.